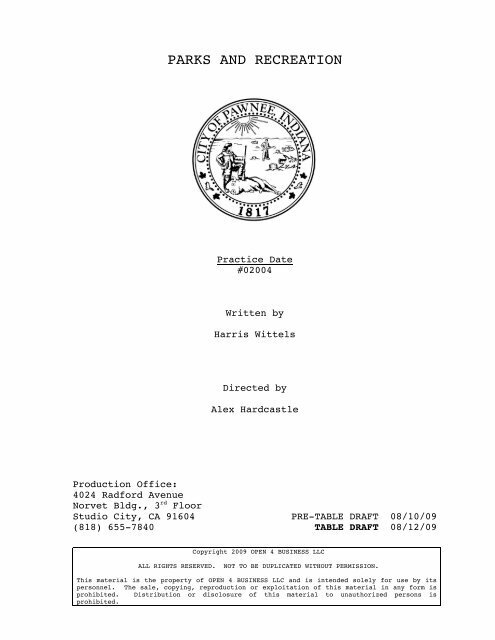 PARKS AND RECREATION Practice Date #02004 Written by Harris Wittels Directed by Alex Hardcastle Production Office: 4024 Radford Avenue Norvet Bldg., 3 rd Floor Studio City, CA 91604 (818) 655-7840 PRE-TABLE DRAFT 08/10/09 TABLE DRAFT 08/12/09 Copyright 2009 OPEN 4 BUSINESS LLC ALL RIGHTS RESERVED. NOT TO BE DUPLICATED WITHOUT PERMISSION. This material is the property of OPEN 4 BUSINESS LLC and is intended solely for use by its personnel. The sale, copying, reproduction or exploitation of this material in any form is prohibited.  Distribution or disclosure of this material to unauthorized persons is prohibited.